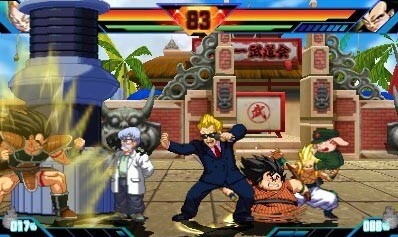 Dragon Ball Z: Extreme Butoden hitting 3DS this October - Use a Potion! Dragon Ball Z fans will be able to get their fix of portable fighting later this year with Dragon Ball Z: Extreme Butoden landing on 3DS October 16th in Europe and October 20th in the US. The game will feature over 20 playable characters with over 100 more appearing as support characters – pretty impressive! Dragon Ball Xenoverse had a good launch earlier this year, so it’s good to see a Dragon Ball game coming over to handheld platforms. There’s not too long to wait until October!